Box and Bells' Diablo, Tortuga, and Singapore Sling tiki drinks. Depending on your level of Oakland drink nerdery, it may surprise you to learn that the mai tai — that fruity Polynesian-esque beverage made of rum, Curaçao, and lime juice — was not invented in some distant, tropical land, but right here in Oakland, at the original Trader Vic's on 65th Street and San Pablo Avenue in 1944 (Trader Vic's is now at 9 Anchor Dr., Emeryville). The way Vic Bergeron told it, the mai tai got its name after he tried his boozy concoction out on visiting Tahitian friends, who proclaimed it "maita'i" or "out of this world" in Tahitian. 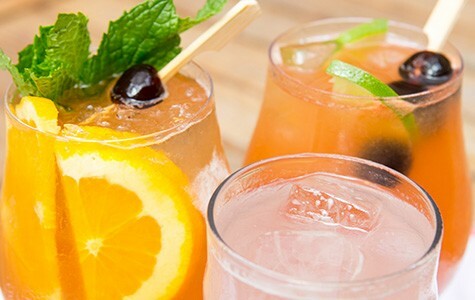 Since its WWll-era debut, the mai tai has become something of an institution, a symbol of escape, relaxation, and fun — in 2009, the City of Oakland even declared the famous tiki beverage its official drink. And now, seventy years after its creation, tiki is coming back to its East Bay roots in a big way. "The thing I like [about tiki] is that it's a little tacky," said Christ Aivaliotis, bar manager of Box and Bells (5912 College Ave., Oakland), and one of the key tastemakers responsible for tiki's revival. "Some of the bars you go in, and it looks really serious. Like with fake steel, wood, reclaimed this and that, and paintings that are very austere. It should be fun, you're getting drunk. It's not like you are going to church. If you have two tiki drinks, either you are nothing but fun, or you're asleep." In addition to Box and Bells, Aivaliotis has had his hands in the tiki-infused cocktail menus of many of Oakland restaurateur James Syhabout's other establishments, including Hawker Fare (2300 Webster St., Oakland) and The Dock at Linden Street (95 Linden St., Oakland). Aivaliotis, along with Troy Bayless, his business partner and bar manager at Duende, 468 19th St., Oakland) recently helped put together a huge tiki bash at The Dock replete with cored-out pineapples, big bowls of boozy punch, and a performance by tiki band The Kookoonuts. 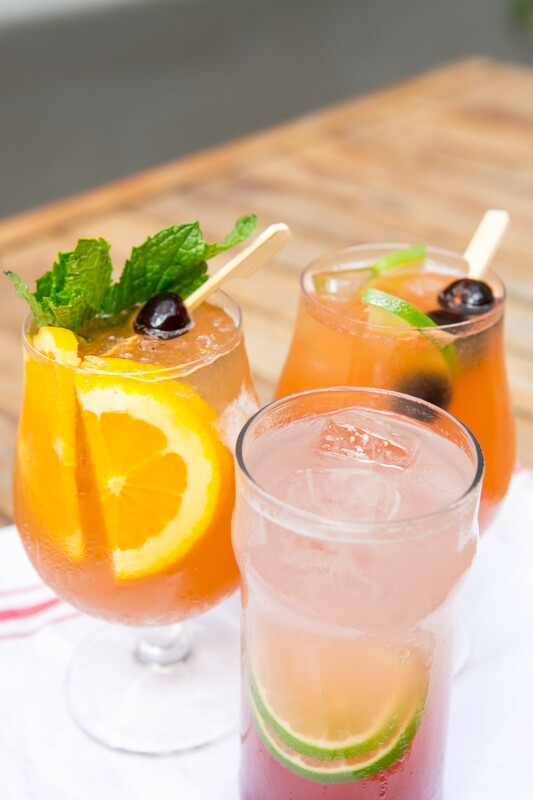 Bayless also drew inspiration for Duende's bar program from tiki culture, which combines "Spanish ingredients, the exoticism of tiki drinks, and the austerity of the prohibition era," according to Duende's website. Taking the concept of the tropical a step further is tiki savant Suzanne Long, formerly of Forbidden Island (1304 Lincoln Ave., Alameda), who recently opened a fully themed tiki bar and restaurant called Longitude (347 14th St.) in the old Disco Volante space in downtown Oakland. "My concept for Longitude was to take tiki and go beyond it and make it even bigger and better," Long said. "The world is this rich, fascinating place, and there's so much to explore, and so much that is exciting about it." 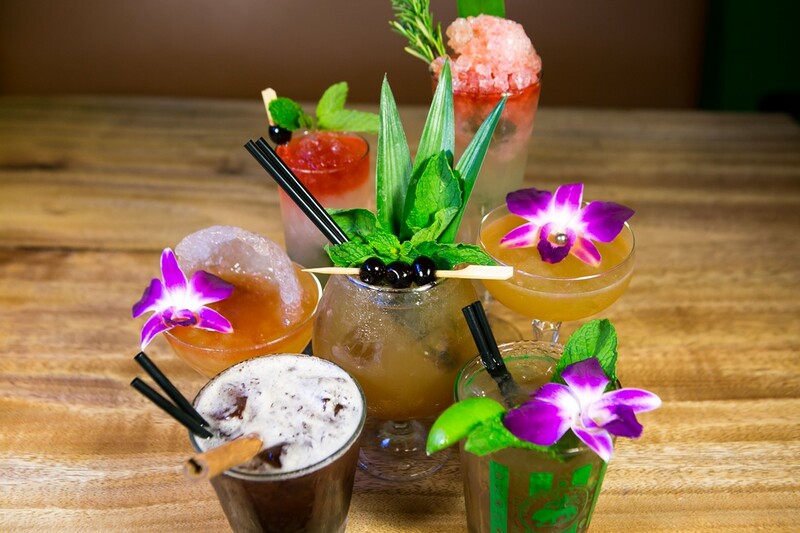 Long credited tiki's rich and diverse history as a source of inspiration for Longitude. "In the 1950s, when tiki had its first heyday, ... it was edging on the unknown, the exciting, adventure. You could have images of scantily clad women taking you off into some jungle and doing something crazy and wonderful," she said. "It was a way to give people an escapist thing." Long also noted the versatility and broadness of tiki's boozy base — rum — which she said can be loosely defined as a byproduct of sugarcane. Longitude stocks more than one hundred and fifty varieties each of rum and whiskey, as well as nearly fifty gins, and other spirits such as piscos and tequilas. Long credits tiki pioneer Don the Beachcomber (aka Ernest Raymond Beaumont Gantt, who also claims to have invented the mai tai) for bringing rum's diversity and deliciousness to light. "Rum was sort of your low-life, cheap stuff, the stuff that sailors drank. But [Don] thought, 'This is fantastic, delicious, and it doesn't cost anything, because nobody's interested in it — I'm going to use it and build these beautiful tropical cocktails,'" Long said. "Our tiki drinks today are all based on what he did." For those who balk at tiki's tendency toward the sickly sweet, Aivaliotis noted that some of the best tiki drinks are, in fact, dry. "Diablo is a great one — it's tequila, lime, crème de cassis, and ginger beer," he said. "We use spicy Fever-Tree ginger beer, which I think walks the line, it's not overly spicy with peppers in it, but it's still spicy enough that you get that heat that you want." The revival of tiki drinks and culture can also probably be attributed to pop culture appearances in TV shows such as Mad Men, the recent documentary Plastic Paradise: A Swingin' Trip Through America's Polynesian Obsession, as well as to the economic downturn of the last few years, whereby temporary distractions and fantasies became a necessity in helping us deal with more pressing and unpleasant hardships. "We need escape," as Long put it. "Most places these days are being earnest about farm-to-table and sustainability, and seasonal choices. All of that is very legitimate. It is so legitimate, that so much of what we do here is inherent to that without having to ask." "In my theory and with everything I do in my life — if you're not having fun, you're doing it wrong," Long said. 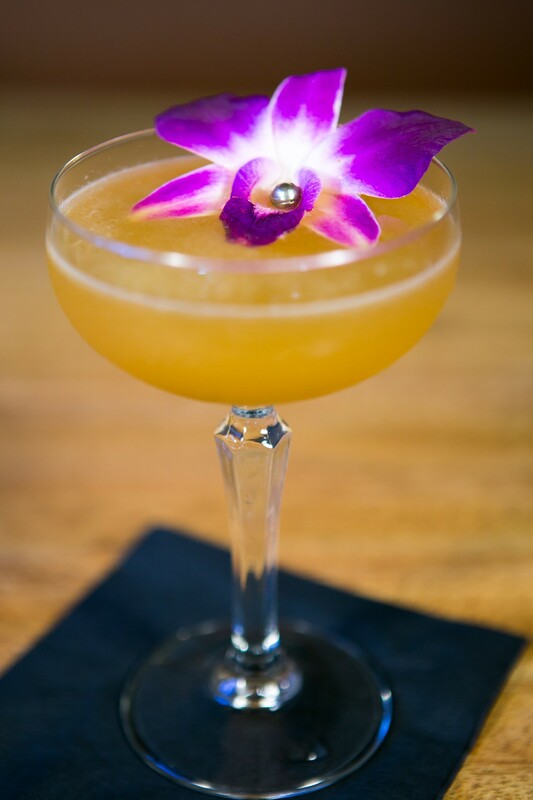 As a testament to her motto, she points to one of her house signature cocktails, the Black Orchid, made with a flambéed rum cordial. "It comes with a real pearl that you keep, which is really an homage to the great tiki palaces of old," she said. "There used to be a cocktail, I believe called the Polynesian Pearl Diver. One in every ten would have a real pearl inside the drink somewhere. If you were lucky you got the pearl, and you would order it to try and get it. But at Longitude, you always get the pearl." Aivaliotis shares Long's emphasis on crafting fresh and fun beverages without the usual earnestness inherent to the East Bay mixology scenes of late. "This is Oakland," he said. "This is the point of entry for millions of pounds of produce, that you would never have anywhere else. ... Drinking at a bar nowadays, it's like, I don't want rosemary. I don't care if it's fresh from the farm. There's not a lot of stuff that grows around here that I would want in a cocktail. Lemons are great, absolutely. But rosehips, all that stuff is totally lost on me. Not that I don't think there's a place for it, but not at my bar. I either want to taste the booze or I want to taste that."